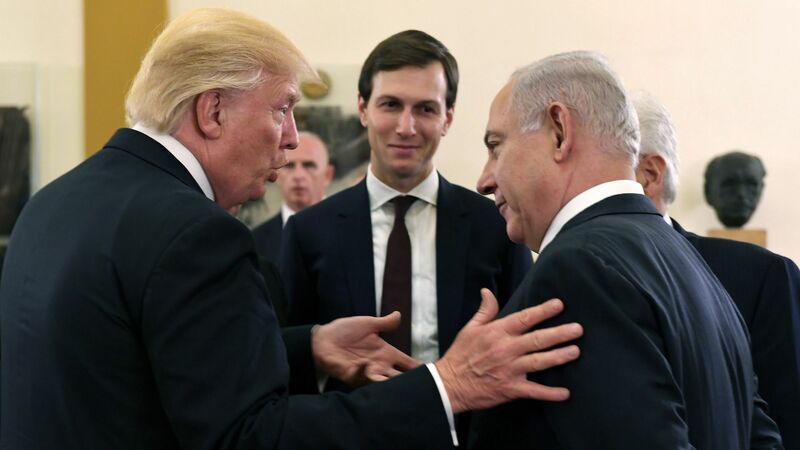 President Trump will hold a crucial meeting this week with his top national security and foreign policy advisers to discuss both the details of the White House's Israeli-Palestinian peace plan and the timing for its release, U.S. officials told me. The big picture: The White House's "peace team," led by senior adviser Jared Kushner and special envoy Jason Greenblatt, has been working on the plan for the last two years. It's now basically ready, and Trump has said he wants it published sometime between December and February. But U.S. officials said the current political crisis in Israel and the imminent announcement on early elections in the country will play a role in any decision Trump makes regarding the plan's release. Details: The meeting was scheduled a month ago, and sources briefed on the issue told me the "peace team" has been preparing its content for a few weeks. Senior advisers like Kushner, Greenblatt and national security adviser John Bolton will attend the meeting — as will Secretary of State Mike Pompeo or another senior State Department official. David Friedman, the U.S. ambassador to Israel, flew to Washington this weekend for the meeting. The White House declined to comment on this story. The meeting will cover the most updated details of the plan but is set to focus even more on the timing and manner of its launch, according to U.S. officials. Trump wants to present the plan soon, but his advisers favor a more cautious approach and have differing opinions regarding the best timing. The sit-down was set long before the political crisis that erupted in Israel a week ago, but the possibility of early elections there will be a key factor in the discussion. Some of Trump's advisers think releasing the plan during an election campaign in Israel would be a mistake. A Trump administration official told me Friedman thinks the White House should wait until after the election to prevent it from becoming a referendum on the plan. Trump's Israeli-Palestinian peace plan will be published "soon"